Born and raised in Brazil I moved to the USA in 2001 after marrying an American. Until then I made my money teaching English as a Second Language and I loved it. The English language is my first passion. Having only a BA in English with a Minor in Literature I felt I had to pursue another career in the US. I did not feel comfortable teaching native speakers their own language and even thought I taught English to Japanese speakers at the Berlitz School of Language in Atlanta in 2004 it did not pay off. Many years later I became a nurse to fulfill my passion for helping others which is ultimately what teachers do. I read Pride & Prejudice when I was only 12 years old but when in College all they talked about was Shakespeare. It was before the BBC series that changed everything forever – 1995 version with Colin Firth. In 1990 I was the recipient of a Rotary scholarship where I could choose a Master degree of choice and I chose…Applied Linguistics!! It was one of the hardest things I had to study in my life. All because I was afraid of Shakespeare and his unattainable English. If only that happened a few years later… but no matter. Maybe it was not meant to be since I had a ski accident and could not finish my degree. At least I can claim (and very proudly I might add) that I lived in England for a full school year and visited Bath for the first time. No. There was no Jane Austen Museum then. Years later, I watched Persuasion – the 1995 version and delighted myself in knowing I had been there. 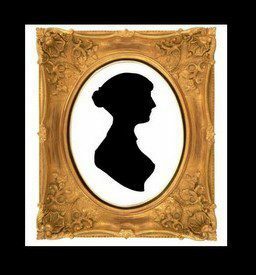 In 2011 I found JASNA – The Jane Austen Society of North America – through Facebook and in 2012 I started my page All Things Jane Austen. Today, about 5 years later I have passed the mark of 40,000 followers. So I decided it was time to start a blog and tell you all the delightful things that happened in between and all the other adventures waiting for me just around the corner. To be sure! About the picture: Yours truly in one of my favorite spots in Bath with the Pulteney Bridge in the background last December, 2015. Thanks to Cass Grafton for taking one my favorite pictures ever.